We are delighted to announce the next deVine Club wine dinner due to take place on November 21, 2014! Our wine dinners have begun since 2001 and have been a resounding success with each meal comprising of sumptuous 5 course meals paired with premium wines specially selected to enhance each dish! 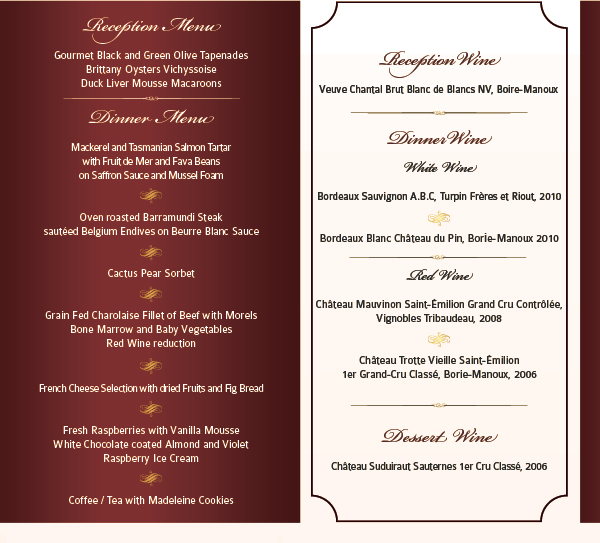 "La Route des Vines de Bordeaux: French Wine Dinner" is a great opportunity for French wine lovers to indulge in excellent Bordeaux wines which are internationally recognized for distinguished quality and inimitable flavours. 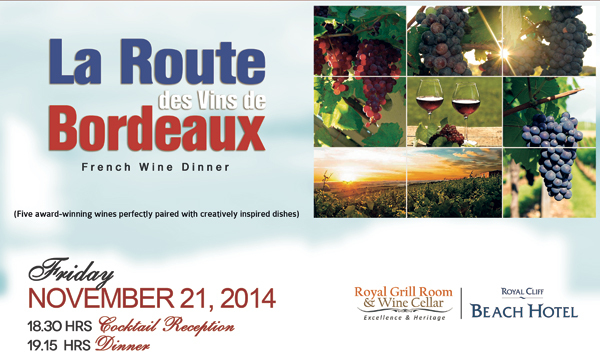 The evening showcases an enviable treasure trove of wines from the famous port city of Bordeaux, southwest of France. It will commence with a cocktail reception at Sunset Terrace Lobby & Bar at Royal Cliff Beach Terrace at 18:30 hrs. Dinner will be served at Royal Grill Room & Wine Cellar at 19:15 hrs. As Bordeaux wines are typified by their heavy, full-boiled taste, the sommelier and award-winning culinary team at Royal Cliff Hotels Group has teamed up, to create the best food and wine pairings. Bordeaux, a modern day red-wine Mecca, comes with a long history of wine making. The region's maritime climate, well-nurtured land, distinguished collection of grape varieties and well-honoured traditions all come together creating a successful system making this a region of winemaking wonder. 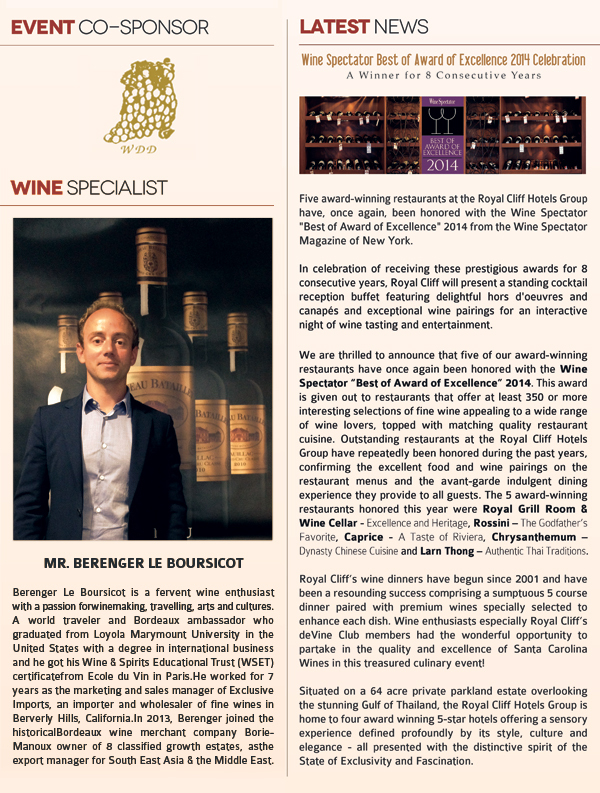 We invite back, wine connoisseur, Berenger Le Boursicot, current export manager for Southeast Asia & the Middle East of Borie Manoux: Bordeaux Wine negociant & Classified Estates owner who will be our special guest speaker. The evening would be both enjoyable and enlightening for valued guests for Mr. Le Boursicot had received Wine and Spirit Education Trust (WSET) diplomas from Ecole du Vin de France and Vinecole in France. We anticipate your presence on November 21, 2014. Please reserve promptly as seating will be limited.